So, the school days are over and it is time to choose a living. One of the most coveted career choices is engineering. An engineer should have thorough scientific and mathematical knowledge. Further, this knowledge should be innovatively applied to solve various societal, technical and commercial problems. Why should one consider engineering colleges? Engineering is India’s most coveted career option which presents incredible growth opportunities. Engineers are inventors and are required to pursue their work in challenging terrains. One has to be highly passionate about technology to earn success in this domain. The time of the year when entrance examinations for engineering colleges are being conducted is here. 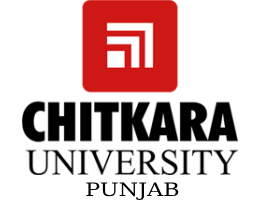 Prominent engineering colleges of the land constitute the IITs, NITs, Birla Institute of Technology and Delhi Technical University amongst others. Students have to go grind two years of their life tackling daunting subjects such as Mathematics, Physics, and Chemistry. Admission to these top engineering colleges requires nothing short of unflinching dedication and grit. Engineering colleges are plenty in India, but the best ones are the only ones worth spending a dime on. While the difficulty of the entrance exams for engineering colleges varies, there is no exam a student ever finds to be a piece of cake. Riddled with in depth questions on physics, chemistry, and mathematics, many students flock to coaching classes on top of school to cope with the difficulty of major entrance exams for engineering colleges. This trend has been panned by many experts in the education sector, calling it the ‘beginning of the end’ of the Indian education system. While that still remains to be seen, what one can discern is the relatively high standard of engineering entrance exams in our country. With so many aspirants vying for places in these engineering colleges, it is not surprising that top engineering colleges prefer to set such a difficult exam. Speed and accuracy are considered to be important hallmarks in order to ace the most significant engineering entrance examinations conducted in the country. This article is an in depth analysis of the important national and state level examinations which are instrumental in gaining admission to the top engineering colleges in India. Who does not aspire to be a part of premier institutions where stories of triumphs are scripted? JEE is a pan India common engineering entrance examination for admission to top draw engineering colleges situated in the country. IITs and NITs do a two tier examination constituting of JEE Main and JEE Advanced. Cracking the exam is the only path for admission to the National Institutes of Technology (NITs), Central and State Govt. funded institutions and other colleges accepting JEE Main scores. JEE Main is scheduled to be held n the month of April in 2016. In order to participate in JEE Advanced, it is essential to finish amongst the top 20% of JEE Mains. Students selected in JEE Advanced can earn admissions in Indian Institutes of Technology and Indian School of Mines (ISM) Dhanbad by clearing the engineering entrance exam. BITSAT is administered by the deemed university Birla Institute of Technology and Science (BITS) and the examination is conducted for admissions to engineering courses at BITS campuses in Pilani, Goa, and Hyderabad. 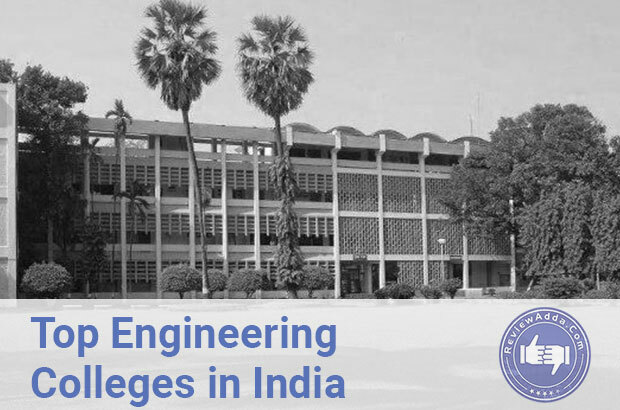 One of the top notch engineering colleges in India, the status of BITS engineering examination is considered to be equivalent to those of globally leading institutions. 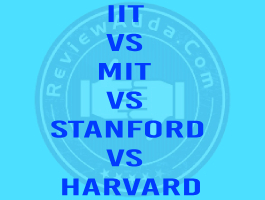 On the domestic front, BITS provides excellent competition to the popularity and quality of the IITs. The Vellore Institute of Technology conducts the VIT Engineering Entrance Examination. The Institute is renowned for following international standards as far as education is concerned. Moreover, adequate research is carried on in the institute which is famed for partnerships with several international universities. The Institute carries on various joint research projects along with foreign students and provides a cosmopolitan ambience for studies. The Sri Ramaswamy Memorial University (SRM) is one of the leading private engineering colleges in the country. On the strength of an excellent curriculum and highly qualified faculty, the institute has established a foothold in the education sector. Further, innovative methods of teaching and research across several academic disciplines are other advantages which set it apart from its competitors. 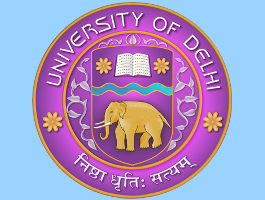 The entrance examination of the university, SRMEE registrations amount to nearly four to five lakh applications every year and a good score in it assures admission to courses across several campuses of the engineering colleges. As the name suggests, COMEDK is a state level engineering and medical entrance exams held annually for admission to top engineering colleges in Karnataka. 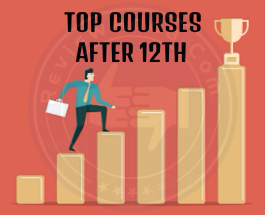 Many top colleges in Bangalore such as RV College of Engineering, PESIT and MS Ramaiah Institute of Technology accept COMEDK scores as criteria for admission to BTech and other programmes. More commonly known as IP exam, GGSIPU is one of North India largest universities. Many engineering colleges in Delhi-NCR fall under its purview. Top government engineering colleges such as USIT and Maharaja Agarasen accept IP scores while conducting admissions for B.Tech programmes. This exam also has the added benefit of virtually following a tried and tested engineering curriculum accepted by a number of government and private engineering colleges. Manipal Institute of Technology (MIT) is a private engineering college conducting its own engineering entrance exam. Recently ranked amongst the top five private colleges for engineering in India, Manipal has slowly become a great option for aspiring engineers to pursue their graduation. Alongside the obvious Kasturba Medical College which is arguably one of India’s best in medicine, MIT’s stock has risen fast over the past few years. Amongst the most popular non-private exams, UPTU is one of the most important exams in the India. Due to the recent inclusion of some non-certified and shady engineering colleges under UPTU, the exam’s reputation has been tarnished. However, some colleges like Harcourt Butler Technological Institute [HBTI], Institute of Engineering & Technology (IET) and J.S.S. Academy of Technical Education are still under UPTU’s purview and remain one of the more prestigious engineering colleges in India. One of the most prestigious state exams these days, WBJEE holds the ticket to many great engineering colleges in West Bengal. Jadavpur University, IEM, KGEC, and Heritage Institute of Technology are amongst the engineering colleges offering admission under WBJEE. The biggest reason many consider engineering colleges is instant monetary gratification after four years. Companies today are doling out mega packages to final year students of engineering colleges so as to acquire the best talent in the country. 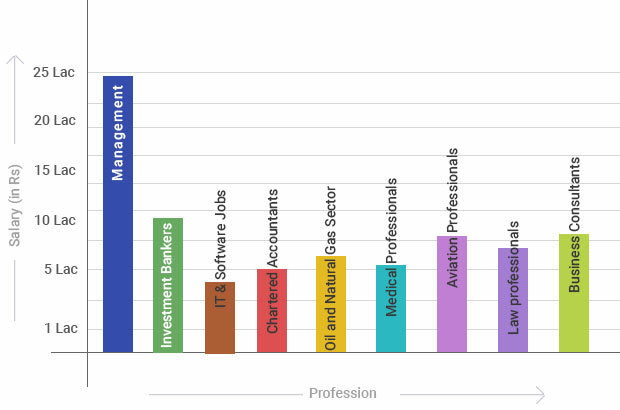 Besides placement after four years, many engineers choose to switch fields and take up professions such as management consultants and investment bankers. Today in India, nearly every field is entrenched with engineers fulfilling any duty handed to them. Though this is not ideal, it still bears a great hallmark for engineers in India who are ready to perform any task required of them. In a country where the best bankers, lawyers, politicians, and CEOs were once engineers, a lot can be derived about the importance of improving this field in particular. Amongst the millions of professions practised in India, here is a comparison of the most preferred professions in India. Not surprisingly MBA management executives and investment bankers lead the line in terms of average salaries and deep pockets. An interesting factor here is nearly 75% of MBA students in top B-schools are from engineering colleges. This scenario simply portrays one simple fact: a good engineering degree mostly leads to a higher paying job. Engineering colleges: A bubble waiting to burst or a perennial profession for the ages? While top engineering colleges in India have always managed to maintain a healthy outflow of top-notch engineers, the sprouting of thousands of lowly engineering colleges has tarnished the B.Techvalue. Earlier one could easily gauge a person’s skill set by knowing his qualification, the circumstances have changed now. Unauthorised engineering colleges not approved by accreditation and commissioning bodies have been throwing away B.Tech degrees for handsome sums of money. This has caused mass degradation of the quality of engineers in India. A country with many good engineers is a good sign, but a country with some good and many bad ones is nothing short of a disaster. There is a simple answer to this problem. Instead of trying to push engineering colleges down every passing throat, encouraging students to opt for fields they feel passionate about is essential. The craze for B.Tech is the reason such shell engineering colleges have sprouted across India. Talking about bursting bubbles, the recent trend in the IT sector has raised some eyebrows. In a country where an engineering degree is believed to grant immunity from any further problems in life, the recent mass layoffs in top IT companies have rippled some waters in the jobs industry. The IT revolution in India began during the turn of the millennium. State of the art office campuses steaming with employees made Bangalore and Hyderabad seem like the Indian Silicon Valley. The consequence of this revolution was 10-12 years of unprecedented job growth as thousands of IT companies besides the big ones started hiring every type of engineer under the sun. Seventeen years down the road, automation and machine learning are slowly starting replacing employees as companies look to cut costs and increase profit margins. This panic is understandable, but analysts would be lying if they say they didn’t see it coming. No sector can sustain growth forever. Like infrastructure, automobile, communications, and BPOs eventually saturated, the IT sector’s time had to come eventually. Engineering colleges are also partially responsible for this collapse. For many years, engineering colleges took placements for granted due to massive recruitment drives. This made engineering colleges lackadaisical in their approach towards the curriculum. The failure of engineering colleges to evolve with time and expect such a fall in demand clearly highlights the pitfalls in their approach to designing a proper framework. IT companies have been complaining for a long time over the quality of recruits coming from top engineering colleges. The alarm bells have been ringing louder than ever for the past five years too when graduates from engineering colleges were first being hired as trainees from colleges and not as employees. Whether engineering colleges choose to ignore these trends or they were simply too obtuse in understanding the IT industry, in general, remains debatable. However, to say that engineers and engineering colleges are no longer needed is laughable at best. With every passing trending sector, there is always a new one ready to come upon the scene. As long as problems need solutions, engineers and engineering colleges will exist. ABBS is one of the top MBA Colleges in Bangalore. ABBS has been consistently ranked as No.1 MBA Institute in Bangalore.? Good infrastructure & facilities. Hostels are provided with Wi-Fi facility with round the clock security. Separate hostels are provided for boys and girls.Traffic & Pollution free Campus. Academics & placements have improved a lot. 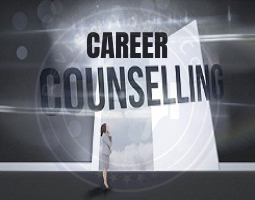 Overall good place to find a career.